We’re going bananas for the latest collection of Derek Rose pyjamas. 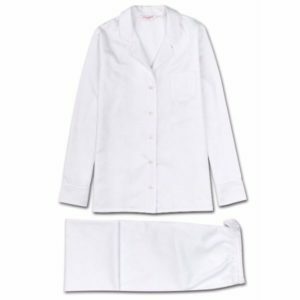 The pyjamas are beautifully cut with a soft elastic and drawstring waist band so are comfortable for sleeping. This season the prints are inspired by the wildlife of Africa. Monkeys, gazelles, lions and zebras frolic amongst a background of exotic flora. If going wild isn’t your cup of tea the refined white Paris is a sophisticated classic as is the black silk Bailey. 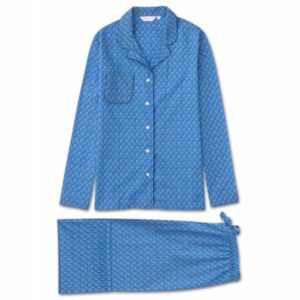 this is the first season we have offered teh Derek Rose silk pyjamas and they have surpassed out expectations. The silk is of the finest quality and are better than we have ever stocked before.